How Much is a Hotel Room in Liberia? 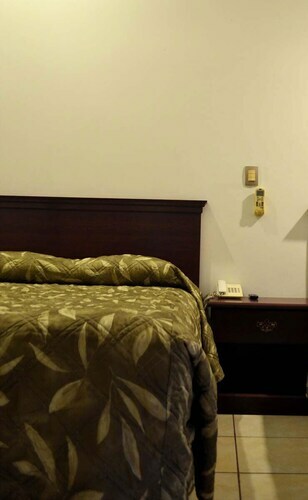 Hotels in Liberia start at C$24 per night. Prices and availability subject to change. Additional terms may apply. Nicknamed "la ciudad blanca," or "the white city," Liberia is famous for its white-gravel roads and whitewashed colonial houses. 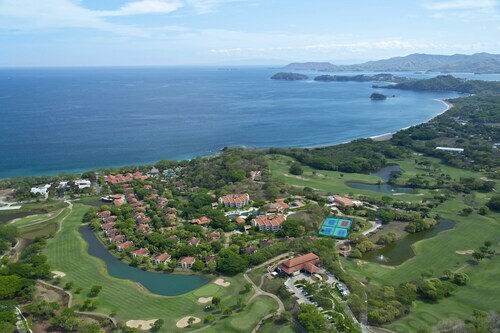 It is the capital and largest city in the Guanacaste province of Costa Rica, an area known for its natural beauty. 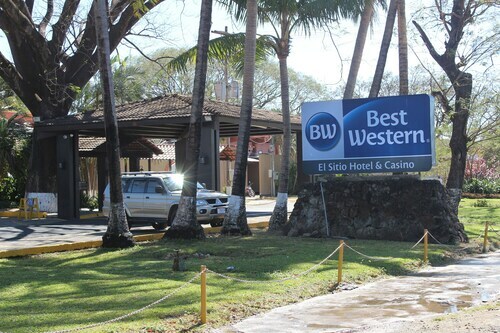 Although many people skip out on the city to head to the beach, staying in Liberia will give you a genuine Costa Rican experience. 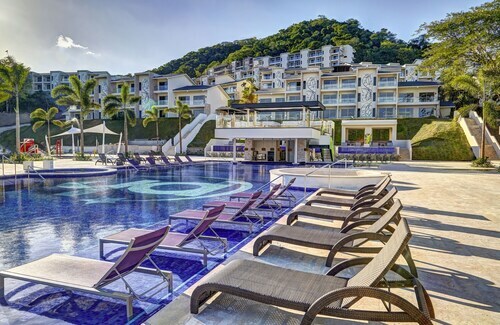 Liberia is a gateway to exploring Costa Rica. 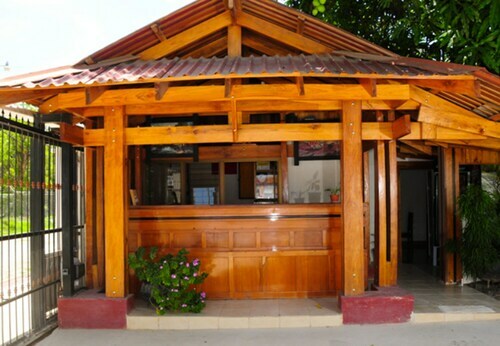 The Daniel Oduber Quirós International Airport grants easy access to the province, and cheap hotels in Liberia make the city a good place to set up base camp while making day trips to the surrounding areas. To the west are gorgeous white-sand beaches. 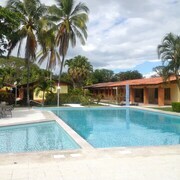 The quiet Playa Hermosa is fantastic for swimming, while Octal offers great fishing and diving. Tamarindo, meanwhile, is a favorite among surfers, as well as connoisseurs of nightlife. Inland from Liberia lie mountains and tropical rain forests that are definitely worth a visit. The Rincón de la Vieja National Park offers hiking, swimming, mud baths, and more for those that make the journey. Even if you stay within Liberia, you'll find that it's a small town with all the amenities of a larger city. Pick up a jugo de caña, or cane sugar juice, and explore the city on foot. Stopping into any of restaurants in the downtown area will guarantee a good meal before you hit the town. 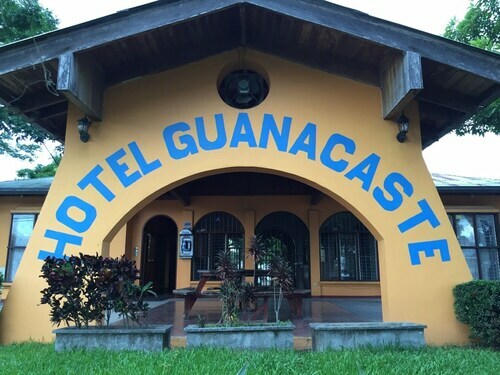 In addition to the staples, be sure to sample Gallo Pinto, the national dish of Costa Rica. After dinner, mingle with the natives at the local hangouts. You'll find an array of places to lay your head, but Travelocity can help you find the best hotels in Liberia as well as flights to Liberia. Check out Travelocity's vacation packages in Liberia, and save up to $537 when you book Liberia hotels and flights at the same time. Pros: The Food was excellent. East's Sushi and rolls were basic but the quality was top notch. The So Cal buffet breakfast was amazing. Also the dinner they cooked fresh fish, steaks and Lambchops on the grill. Gusto and Tex Mex by the pool was great for lunch. Fresh Salmon, SeaBass on the grill everyday. Drinks and Pool service was great. Crown Royal, Absolute no problem. Cons: Someone isolated to the resort. No Cab service and shuttle is $35. each way min. Rent a car if you want to explore around. Watch the Insurance, must buy the rental car companies. The insurance offer on Travelocity is no good enough. 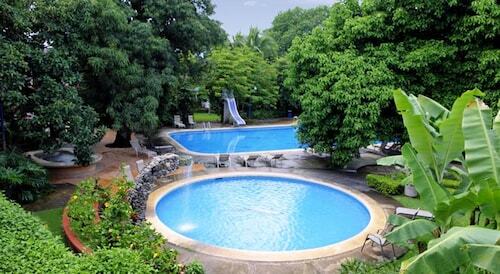 If you want Rainforest excursions, stay a night or two around Arenal Volcano, 3.5 hrs each way from PH resort. It is hot and dry around this area. Perfect for its convenience to the airport. The pool was nice. They need to lower the price by half and it would be perfect for the money. 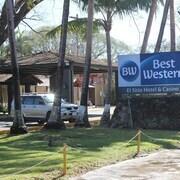 Our stay was very nice and Hotel Boyeros was easily accessible from the airport. 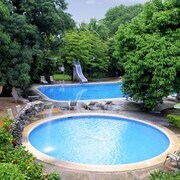 Rooms were very comfortable with nice views of the pool through the avacado trees outside our patio. Staff was very friendly and breakfast was good. It was a beautiful resort- food was excellent. Jesus with the activity staff was awesome, recommend the bike tour and kayak tour.